Here i configured the Workflow manager and I registered the workflow service too. 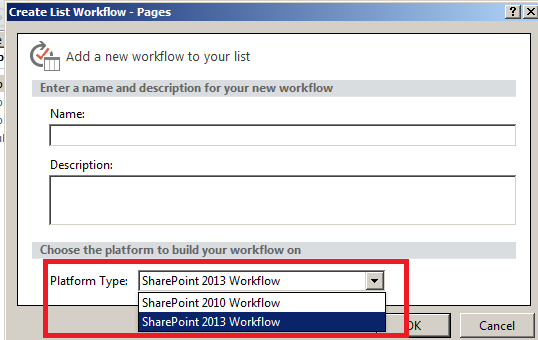 But still I am not seeing the option of SharePoint 2013 workflow in the designer with the new site collection i created. The reason for this is , the template which we choose while creating the sitecollection(in my case blank template) might not have all the dependency features to create the SP2013 workflow. 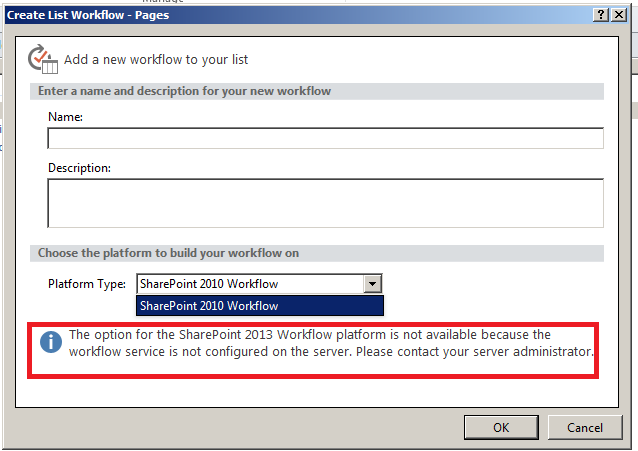 To resolve this issue activate the " Workflow Service Store" Feature.This is hidden by default. Below is the powershell command to activate it. Close and reopen the designer, you will be finding the option like this. Search has encountered a problem that prevents results from being returned. If the issue persists, please contact your administrator. SharePoint Online :This HTML cannot be inserted because you don't have access to add scriptable Web Parts in this site. Please contact your administrator if you think you should have rights to do so. SharePoint Designer 2013 Workflow error :Microsoft.Workflow.Client.ActivityValidationException: Workflow XAML failed validation due to the following errors: Activity 'someXActivity' has 58 arguments, which exceeds the maximum number of arguments per activity (50). The views or the opinions expressed in this blog are my one. These do not any way represent my empl. Simple theme. Powered by Blogger.